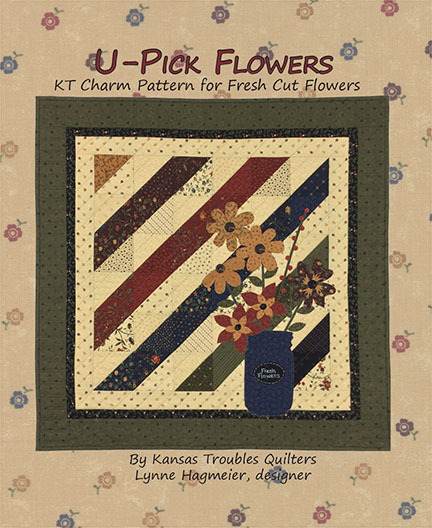 Laurie Brown - I'm so excited about the KT Kut-ups! 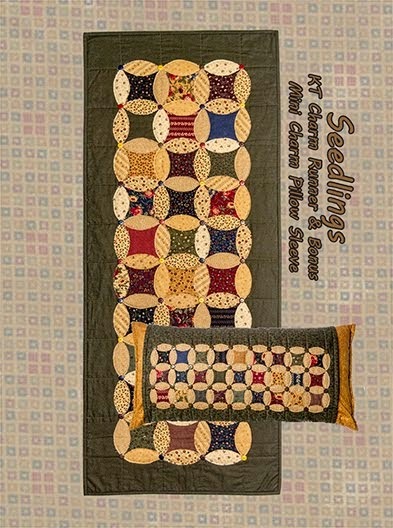 Thank you for making quilting easier with this product and your quilting method. Thanks, Laurie for your comment. 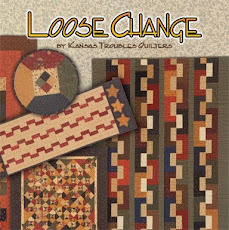 Please email your mailing address to lynne@ktquilts.com. Jamie will send out your Kut-ups ASAP. 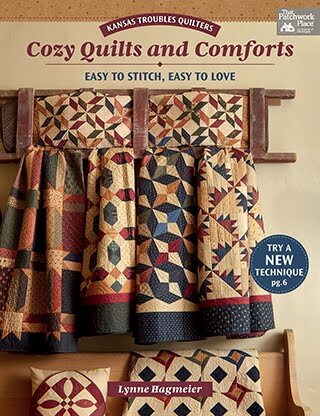 I'm delighted to be included in another of Martingale/Moda's designer compilation books. 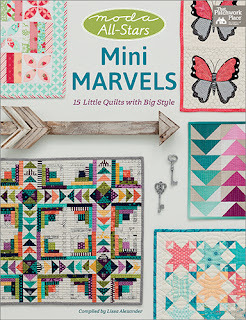 The latest is Moda Mini Marvels featuring little quilts of all shapes, sizes, colors and techniques by more than a dozen different designers. 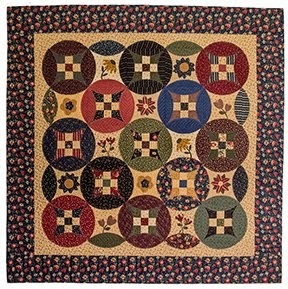 My quilt is Dashing - mini churn dash blocks floating in a dark background featuring my layered patchwork technique. This method guarantees perfect points every time! Look at all the intriguing options - just on the cover! Our books arrived last week so we'd like to share one with you! 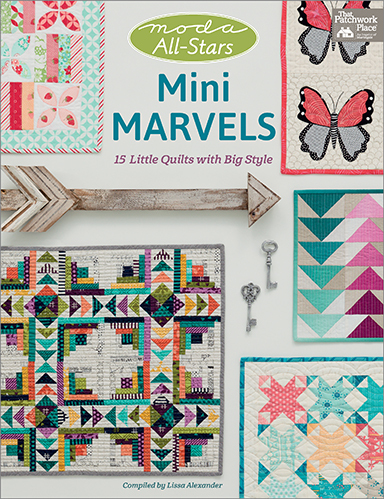 Comment here to win a Mini Marvels book. Have to finish my super hero cape for the Moda party, so better make this brief. Watch for our November Special in store and online in my November 1st blog post. 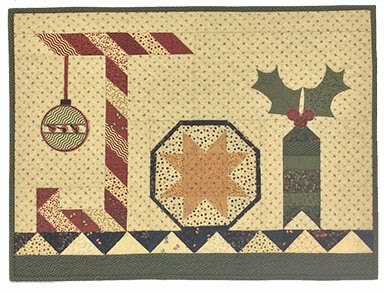 Hint: it's not too late for Christmas! 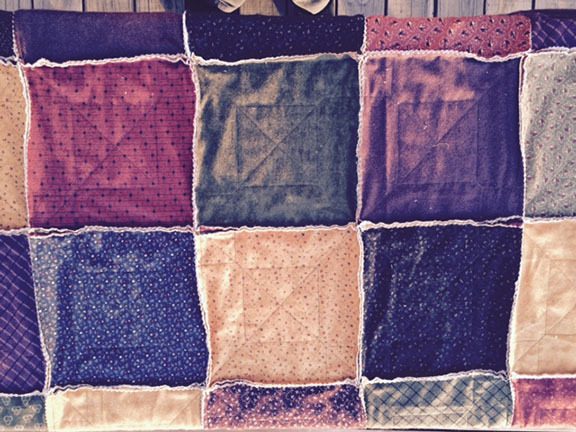 Congratulations to the winner of our Barn Raising pattern, great in cotton or flannel. Nan Martino - Oh my Oak Haven! It should be re-named Oak Heaven! I love this line. Thanks, Nan, for visiting my blog. 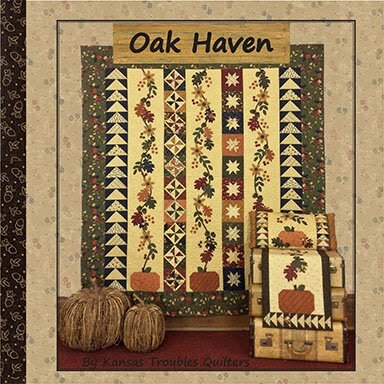 And thanks for the kind words about Oak Haven. I love this collection, too! Hope you enjoy your KT pattern. 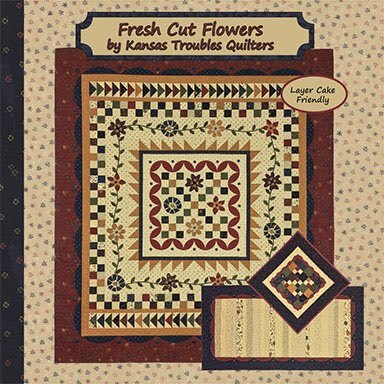 We're making plans now to have more Kut-ups for earlier KT quilts, such as Bees 'n Blooms and several Mini Table Treats. Interested? Let me know what you'd like and we'll put it at the top of the list. 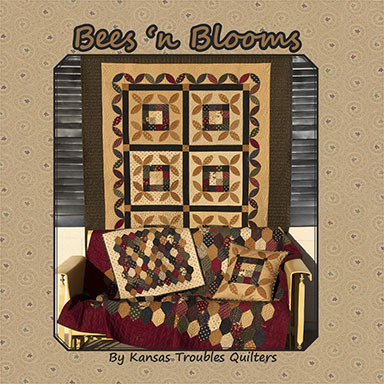 Bees 'n Blooms variation by Ruth Steinle. So innovative! 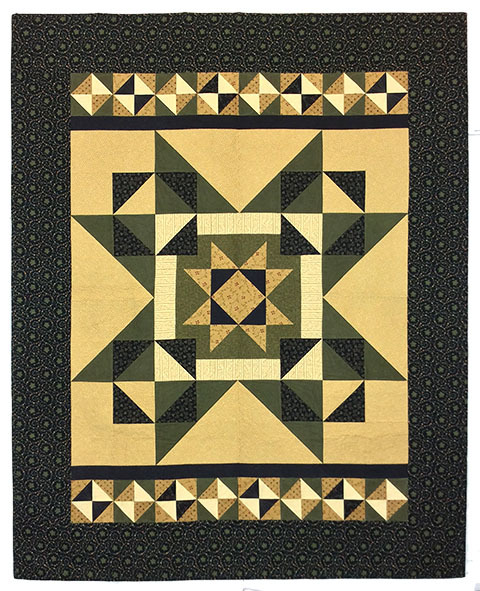 Charming Stars by Vivian Lemmon in beautiful batiks. Keep the pictures coming ladies. 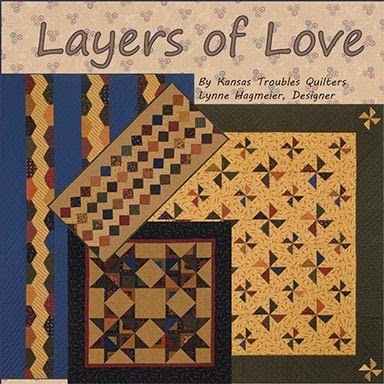 It makes my heart sing to see all the wonderful quilting you do. 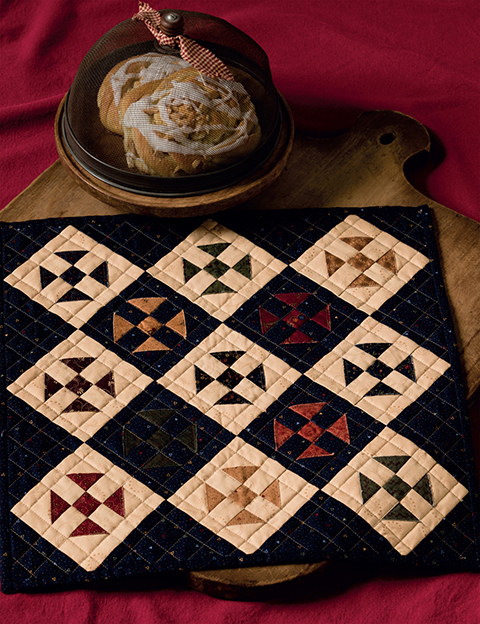 This week's giveaway is the Oak Haven Pillow Kut-ups pack. You can whip up this pillow sleeve in an evening. 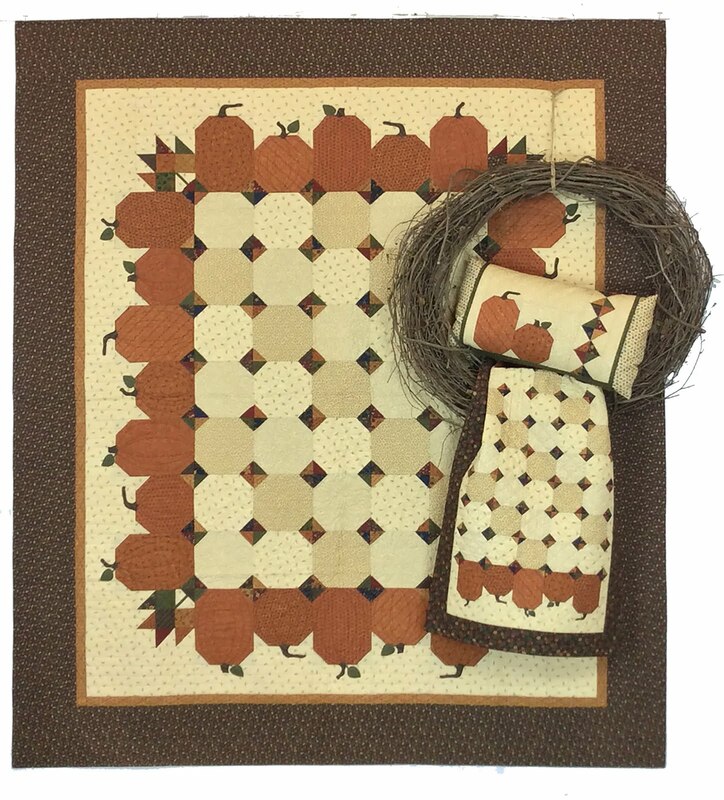 Great for a holiday gift or keep for yourself to spruce your home for fall. 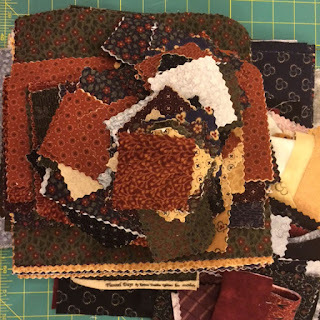 Back to whipping down binding for Fall Market projects.Watch for sneak peeks of the new Thistle Farm projects in November. goode58 - Haven't worked with flannels for awhile but you all have inspired me to try again. Happy sewing. 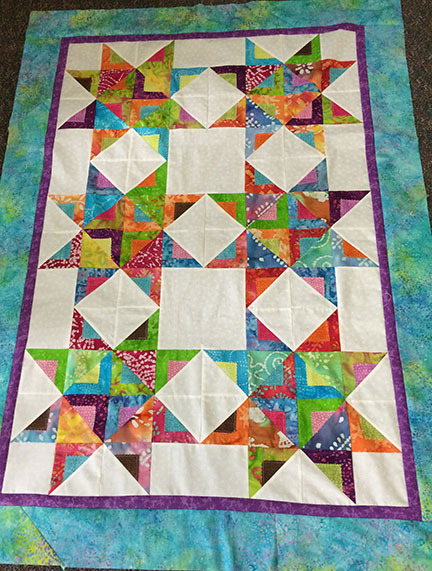 In the box, there are lots of precut squares in several sizes, ready to layer and topstitch for a new Huggable design. Enjoy! Last week, we shared our projects from the Huggable booklet featuring pinked edge/no batting/no quilting snuggle-able quilts. Today, I'd like to show you a couple of my favorite flannel quilts made with my layered patchwork but sandwiched and quilted like a traditional quilt. 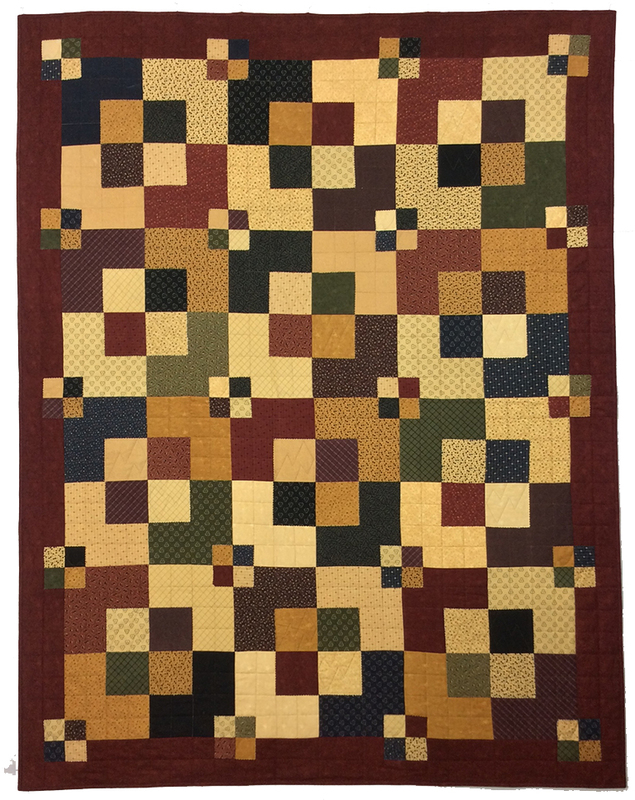 First up, an extra-long version of our Huggable quilt, sandwiched with batting and quilted like a more traditional quilt. 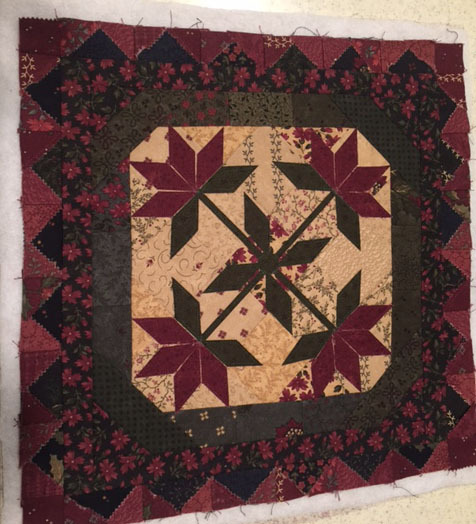 Love the red border! 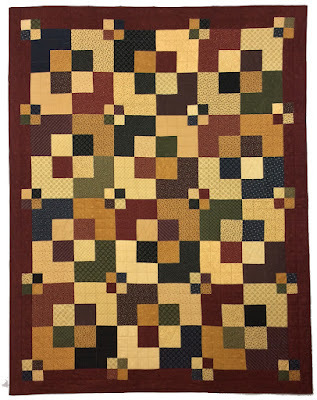 Joy Johnson, my go-to long-arm quilter, loves the Barn Raising pattern and wanted a soft, cozy version in our flannels. 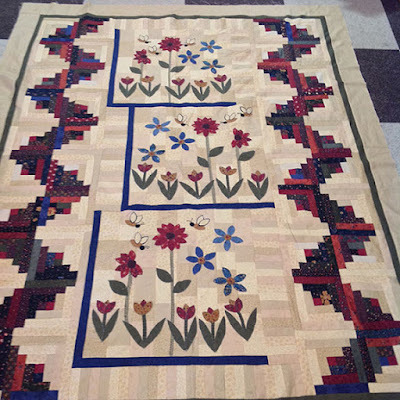 She cut the 5" layered squared with a pinking blade for soft dimension and less raveling, then quilted it to enhance the diagonal design. 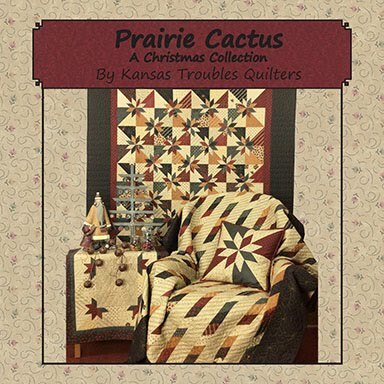 Kits available at KT Quilt Shop for both flannel quilts. 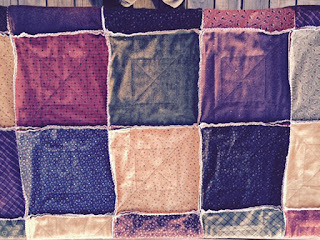 Think flannel this month while our Cozy Cottage Flannels are specially priced. 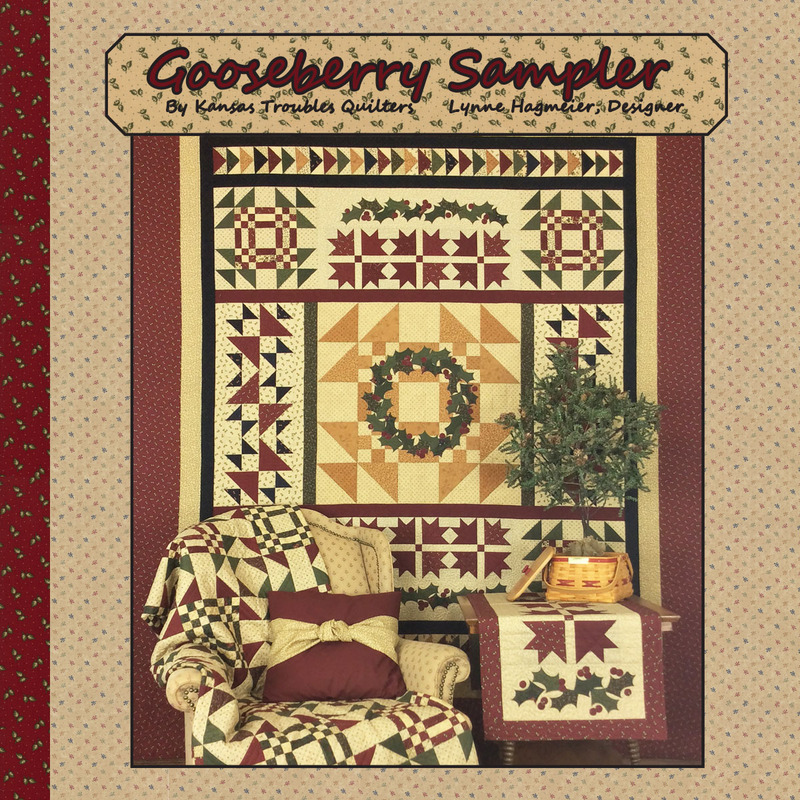 Pick your favorite pattern and make it up in flannels for someone on your holiday gift list. 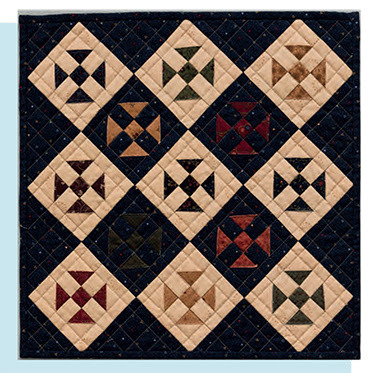 Robert is hinting about a new quilt for his upcoming 60th birthday and definitely wants flannel. Another hit from Martingale! 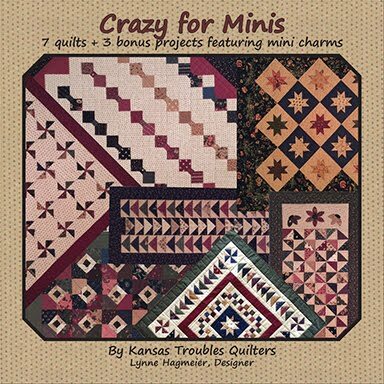 More than a dozen delightful mini quilts created by some of the top designers in the industry are gathered together in this beautiful book. 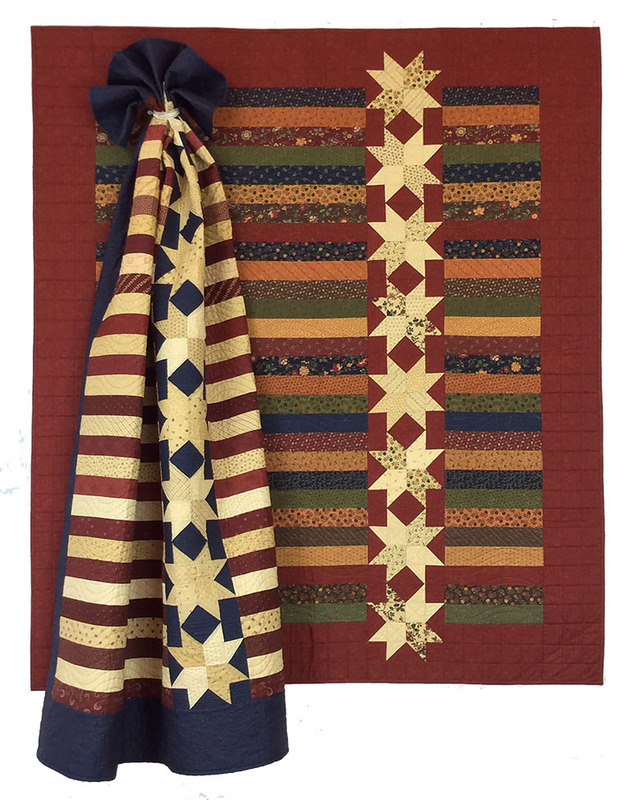 My mini churn dash quilt, Dashing, features my layered patchwork method for perfect points every time. This technique works especially well when playing with little pieces. Check your local quilt shop and ktquilts.com for all the latest Martingale books. 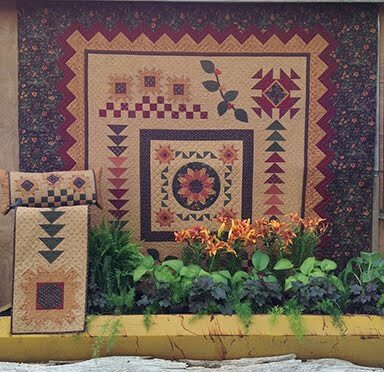 Comment this week to win our Barn Raising pattern. It includes 3 more options for block arrangement for 3 different looks. Great in cottons, flannels, brights and KT traditional fabrics. 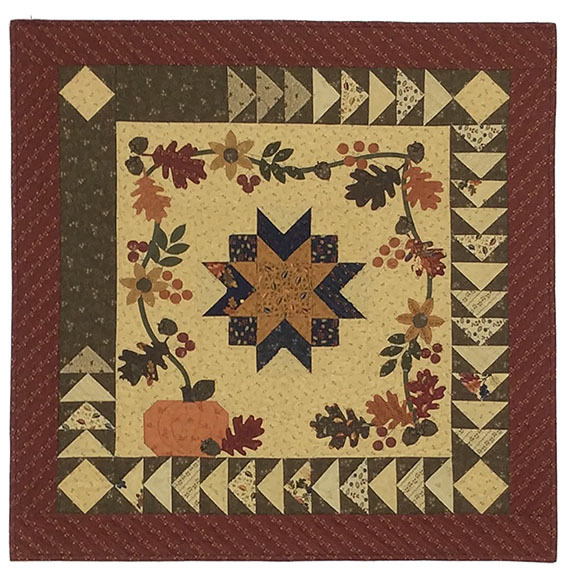 Candy Chrisman - So glad to feel some cooler weather. 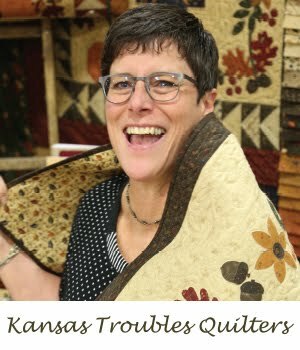 I just got back from Missouri Star Quilt and enjoyed seeing your fabrics and Jenny as well! Would love to attend a workshop with you! Thanks for commenting last week. Hope you enjoy fall and your box full of Oak Haven scraps! 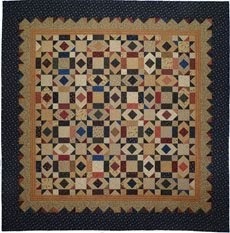 * Cozy Cottage Flannel yardage - retail $13.50/yd. Sale $10/yd. Need cozy, cuddly quilts fast for the holidays? 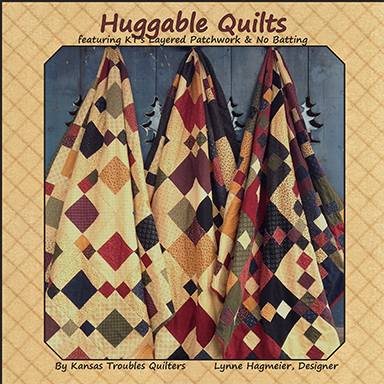 Our soft, flannel Huggable quilts are made by sandwiching 2 squares of flannel back-to-back, then layering & topstitching pinked squares in an assortment of designs. 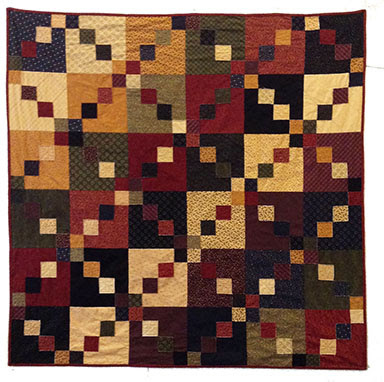 Layered squares are sewn together in rows with exposed seams on the back. 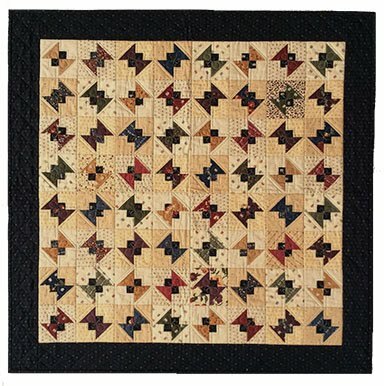 (see below) No quilting, no batting. Fast, easy, inexpensive! 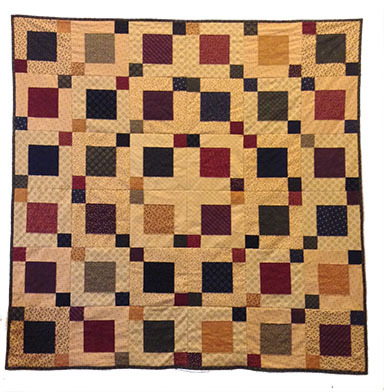 Be sure to cut all squares with a pinking blade in your rotary cutter for soft fraying when washed, not unsightly ravelling. 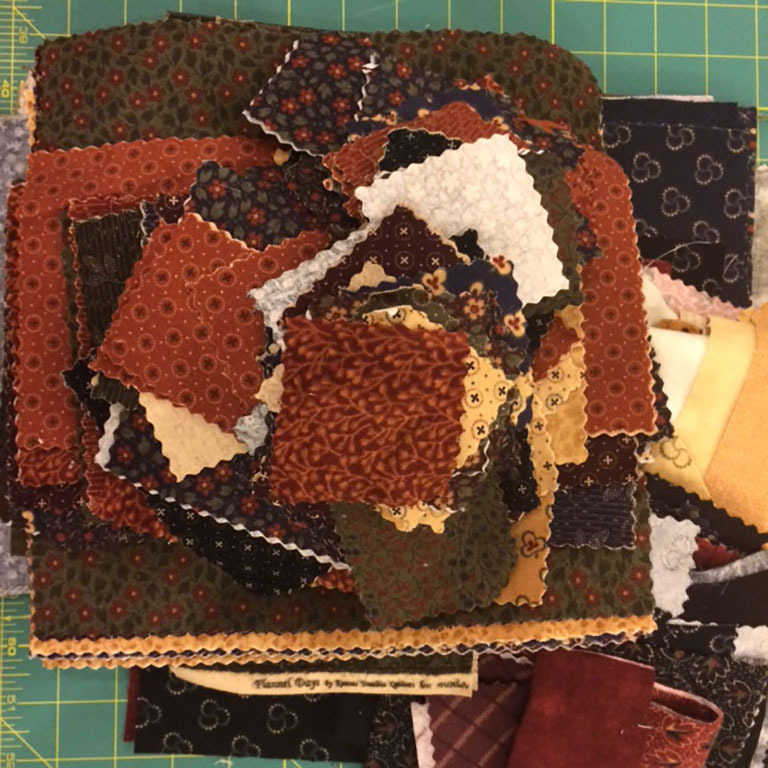 Win a box of flannel scraps - many of them already cut into pinked squares - on this week's giveaway. It's the perfect complement to our Huggable booklet. 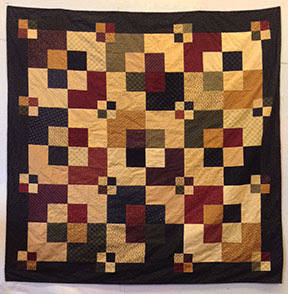 I'll have a couple more flannel quilts to share next week. See you then! Charm Pack + KT Kut-ups. Easy Piecing + Precut Appliques! Quick & easy Jelly Roll Projects - lap to king. 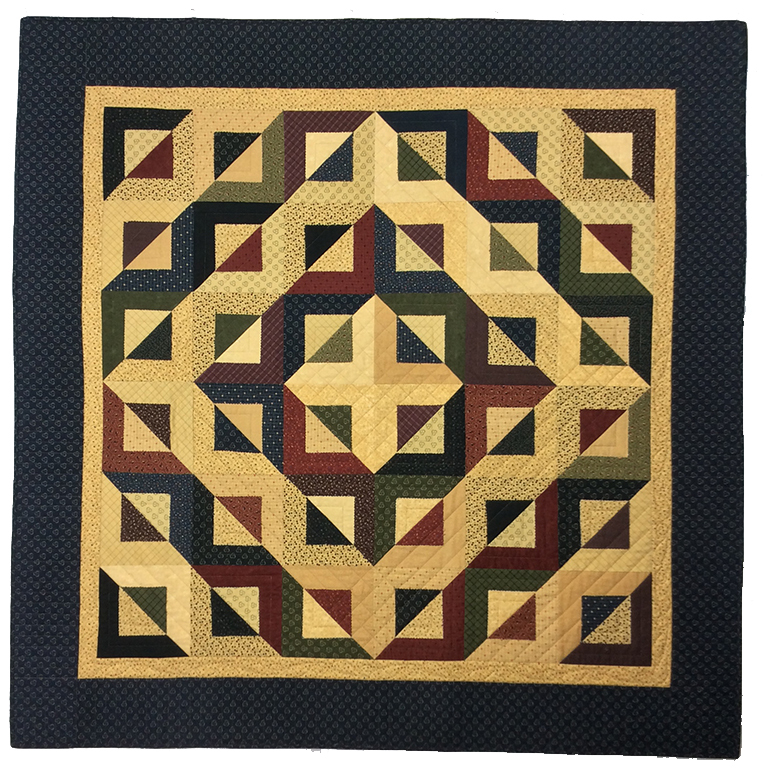 Simple piecing plus our new KT Kutups precut fusible appliques! 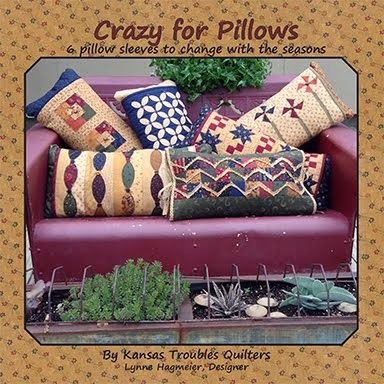 6 pillow sleeves to change for the seasons! 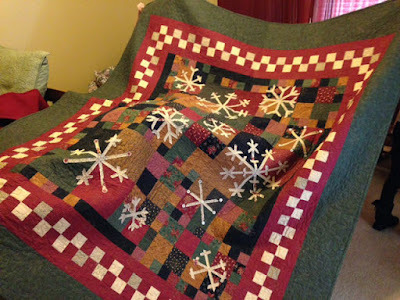 I'm a wife, mom, gramma and quilter - not necessarily in that order. My husband, Robert, and I have 6 grown children and 8 grandkids between us ranging from 4-14 years of age. 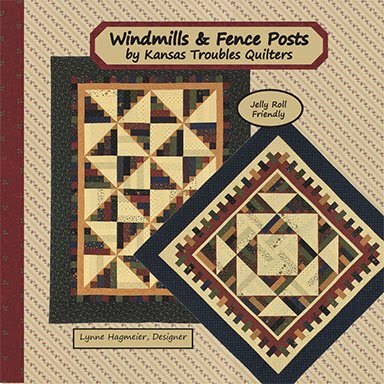 Our busy lives are centered around our families, our business - Kansas Troubles Quilters - and our mutual love for all things old. 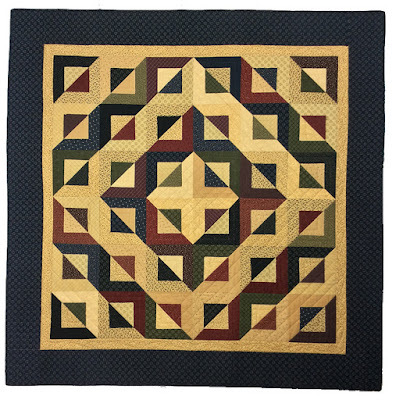 Robert works with me at KTQ as chief printer, bookkeeper and general "make-the-designer-happy" guy while I design fabric for Moda and create simple, pieced, country quilts that are easy and fun to live with. In our spare time, we enjoy antique shopping, attending plays and hanging out at our little cabin. Right now, life is good and I've got the t-shirts to prove it!